Inasa no hama beach is located 1km west(15minutes walk) from Izumo Taisha Grand Shrine . It is selected as one of the best 100 beaches in Japan. 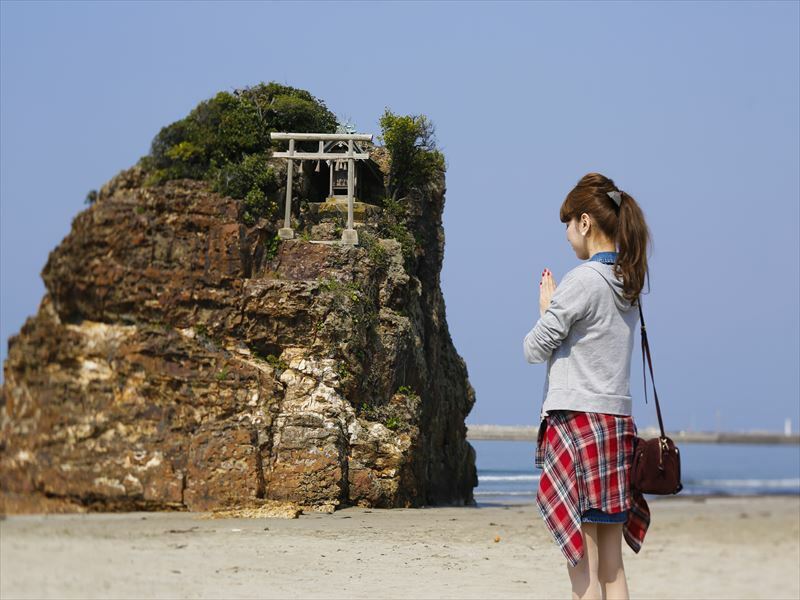 The short beach stretches out and there is a huge rock with torii(Shinto shrine gate) called Bentenjima. The rock used to be at off-shore but you can reach it on foot now. Izumo is famous for its mythology and also known as the place where the gods from all over Japan gather in lunar October. Inasa no hama beach is where those gods are landing from. This beach has a power of healing fatigue and stress.